View the Best Harness for Dogs Below. How to put on a harness for dogs? 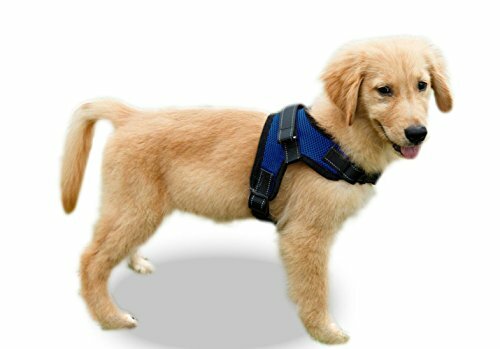 What is a no pull harness for dogs? 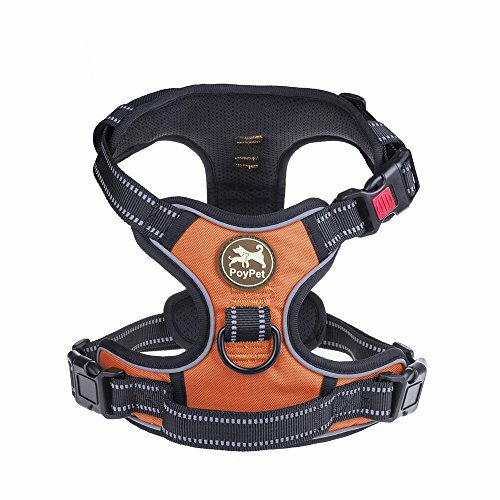 Best harness for dogs that pull? Certified content. This article has been fact checked and verified by our veterinary advisor. Taking the dog for a walk has countless benefits both for the dog and for its owner. Dog walking relieves stress; it is a great form of exercise and promotes an overall healthier lifestyle. Walking and exercising can also resolve many behavioral issues in dogs; such as barking, digging in the yard, chewing on furniture and chasing the mailman. Why? Because dogs get bored, and bored dogs do silly things to keep them occupied, and what better way to combat that than to take your best friend out for a walk and some fresh air? Now, to take your dog for a walk, you need gear. A strong retractable dog leash, and – here it comes – a harness. Many are the dog lovers who daily discover the benefits of a dog leash harness instead of a shock collar, but to find the best dog harness, you might need some help. 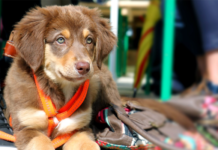 There are so many options out there, and you will want to find the best harness for walking, or for whatever activity you plan to undertake with your dog. All dogs are different, but the good news is – the perfect choice is out there somewhere. If you have a small dog, try these dog harnesses for small dogs. 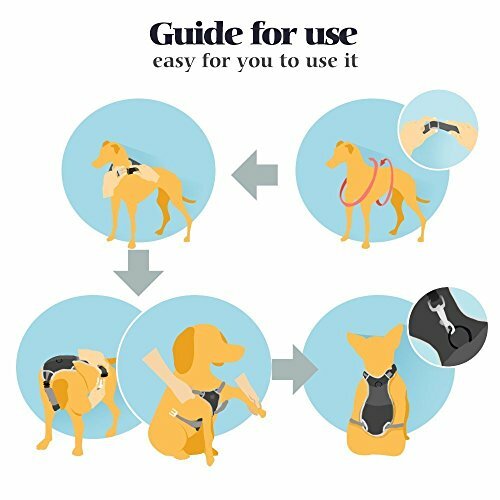 With this “easy on easy off” dog harness, it comes on without a struggle, and off just as easily. Many dogs aren’t too keen on being put in a harness, so this can be a great product for that reason alone. It is also a convenient option for those overenthusiastic dogs that tend to pull just a bit too much during walks, as its design helps distribute the pulling force evenly, making it both more comfortable for the dog on a walk and easier on the walker. This no pull harness for dogs reflects in the dark, has sturdy metal attachments for a dog leash in the front- and in the back (attach in the front for more of a no-pull effect), it is made of a light-weight and breathable material and it comes in several colors and sizes. It also has a waist-strap which allows you to adjust it properly to each individual dog, to keep those escape artists from slipping out of it. Why We Liked It – This is a cool looking dog leash harness with a variety of functions! 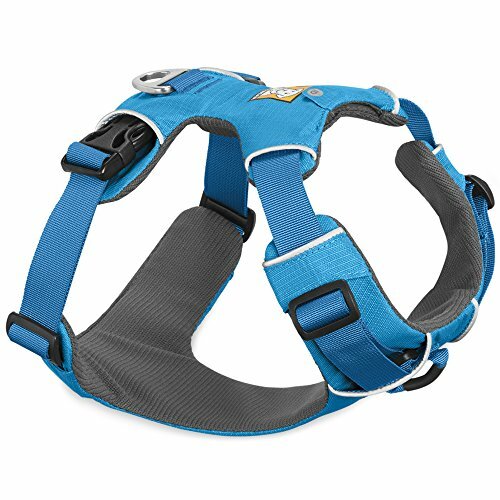 We like that it has the adjustable strap, as dogs tend to come in all shapes and sizes, and this prevents them from slipping out of their harness. An ergonomic and padded dog harness that comes in different colors – perfect for picking one that fits your personality and that of your dog! Made with sturdy material that reflects in the dark, and the harness has a handle through which a dog seat belt can be looped – ensuring safe and comfortable car rides. The padded dog harness redirects pressure from the neck area, preventing neck and spine injuries, as well as injuries to the windpipe. With its front dog leash clip, it can easily be converted to a practical no pull dog harness. Why We Liked It –The handle on top of the no-pull dog harness is very clever, as it can aid in lifting the dog during a hike, holding it back in a potentially dangerous situation and – as an extra plus – to strap the dog in safely during a car ride. 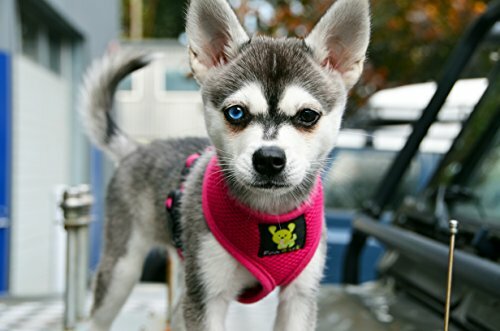 This cute and ultra-soft dog harness made from recycled water bottles. The Original EcoBark dog harnesses come in several different colors, and while they place among the best puppy harnesses, they are also suitable for larger dogs and come in all sizes to accommodate your special fur friend. This Original EcoBark mesh dog harness is non-toxic, comfortable and made with an innovative no-choke design. The flexible air-mesh allows the dog to move naturally while wearing this harness. 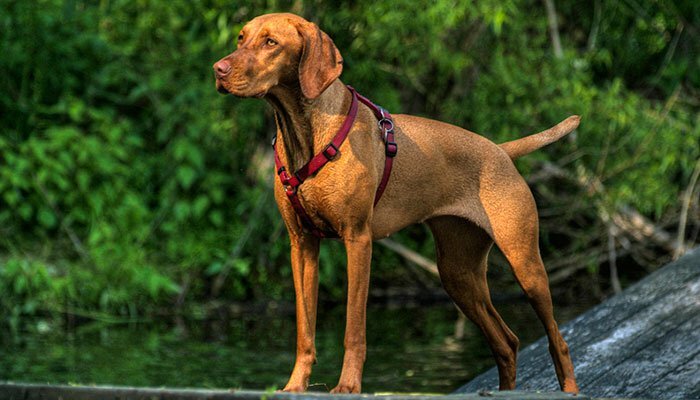 Why We Liked It –This mesh dog harness is made from sustainable materials are important, and it is an initiative worth standing up for. On top of that, this is a very charming top dog harness that fits dogs all sizes like a glove. This little gem of a no-pull dog harness is designed to protect your pup’s throat and neck since many dogs sustain injuries from using dog collars, especially if they have a habit of pulling. 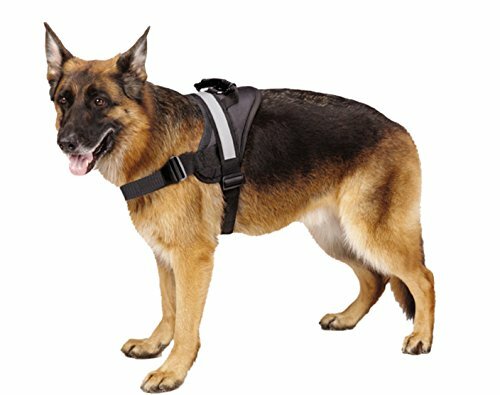 What makes this Copatchy No Pull Reflective harness stand out is how adjustable it is, and it is not only available in all sizes, but it also offers the possibility to adjust it to correctly fit your dog. Big neck? No problem! A few extra kilos? Bring it on! This reflective pet harness makes it clear that it can accommodate just about any canine, and with its super soft and comfortable padding – the dog is sure to like it too. Why We Liked It –Just like some people struggle to find a pair of jeans that fit perfectly, some dogs have a hard time finding the rightly fitting harness. This brand has solved the issue by making their dog harnesses extra adjustable. Similar in design to the Chai’s Choice Best Outdoor Adventure harness, only this no-pull dog harness comes in a larger variety of colors. Sturdy and easy to put on, thanks to its large snap buckles. Comes on and off within seconds. 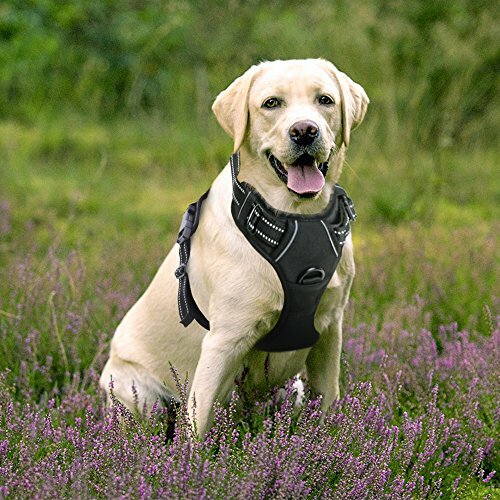 This harness for dogs that like to stay active is a great addition to the walking gear collection, as it cleans easily even after a roll in the mud! Why We Liked It –Some dogs feel uncomfortable with having something pulled over their head, and these types of dog harnesses solve that issue by adding snap buckles to their neck straps. This no-pull harness is adjustable and great for a young dog that might still have some growing to do. 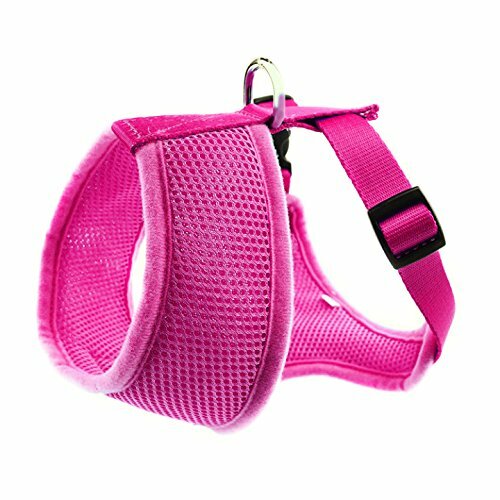 Bright reflective colors make this front lead dog harness a fashion statement as well as one of the most comfortable dog harness designs on the market. 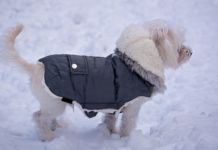 With thick padding and adjustable straps, it is guaranteed to fit your dog perfectly. It is however important to measure the dog properly before purchasing and pick a suitable size. The circular front clip of this reflective harness helps control a pull prone dog and can be used on its own or together with a second dog leash attached to the triangular clip on the back. The colorful fabric reflects in the dark, which is an essential dog safety feature when walking your dog at night or early in the morning. 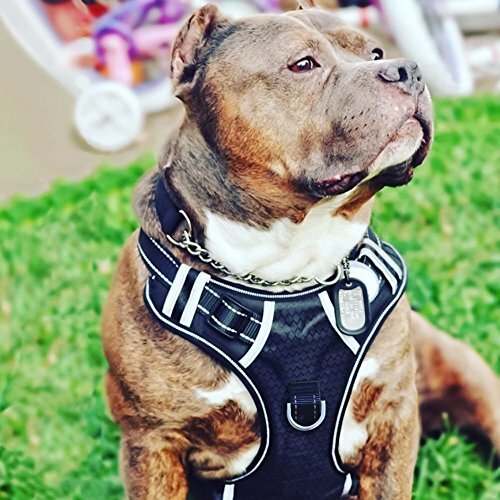 Why We Liked It –This front clip dog harness looks and works the same as many similar models, but we like the wide selection of colors and the way it adjusts, making it suitable for dogs that are still growing. When deciding to get a Ruffwear Front Range All-day Adventure Harness, you are choosing quality and durability, which is exactly what you and your fur baby deserve. This Front Range All-day adventure Harness slips on and off easily and secures with side-release buckles – perfect when you need to get up and out quickly! Excellent choice for the impatient dog, as he or she might get restless if putting on the harness takes too long. The Front Range All-day adventure Harness is not only comfortable but practical and safe to wear. The Front Range harness has a small pocket for dog tags and identification, which is something they should always have on them for their own safety (and for the owner’s peace of mind). Why We Liked It –This Front Range harness is the only front clip harness on this list which has the pocket for convenient storage of dog tags and identification. While we hope it never happens, it is a great feature if your dog would take off and get lost during an adventure. While most harnesses come in large sixes, this particular one is designed especially for larger furry family members. One benefit of buying a large dog harness is that the harness is made for dogs just like yours, with their needs and requirements as priorities. 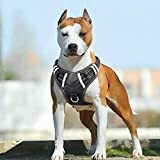 This top-rated dog harness is perfect for the largest of dogs, but it also fits well for medium-large sized breeds like Golden Retrievers, for German Shepherds, pit bull breeds etc. etc. The padded interior makes it comfortable for the dog to wear, also for longer periods of time, and it prevents or reduces pulling due to both design and its front dog leash attachment clip. Why We Liked It –Few dog harnesses on the market are especially targeting the large dog population, and it is nice to see one that is designed to accommodate wide chested and large framed dogs. Here we have a machine washable and trendy looking dog walking harness – a great option for a somewhat edgier dog owner and dog! Its function is similar to several others on this list; with anti-pull features and adjustable straps. This reflective harness is made with lightweight mesh and the buckles are made from eco-friendly plastic. 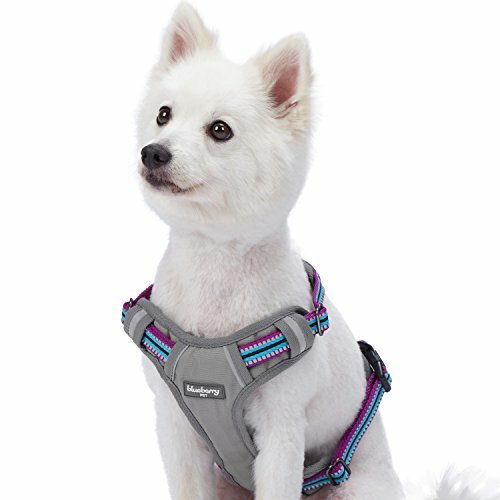 The twist of this dog walking harness comes with the straps themselves, as they are designed with colorful details and interesting patterns. Why We Liked It –When looking for the most comfortable dog harness, most pet parents aim to find one that also looks good. The Blueberry reflective Pet harness has fun color details we haven’t seen before, and it can be washed in the washing machine after a messy day on the go. Haven’t found the best harness for dogs that pull yet? This could be the one for you! This escape proof dog harness is for the big fella in the family, equipped with an extra handle, reflective straps, and generous padding. Providing a more controlled walking experience, the EXPAWLORER Big Dog soft dog harness is a reliable link to a more active life for you and your dog. Taking a walk should never be a hassle, it should be fun, both for walker and dog! And with this pull preventing product, the odds are a lot more in your favor. Why We Liked It –Being pulled around by a small dog is one thing, but having a 60 lbs+ dog haul you down the street is a whole different ballgame. 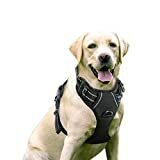 This dog training harness ranks high in dog harness reviews and is designed to help loving pet owners deal with their enthusiastic large dogs for safer and more enjoyable walks. Car safety is of utmost importance for all dogs, regardless of size and how far you tend to drive with them in the car. Every dog should be securely fastened, to prevent injury and possible death in the case of an accident. Should the later ever occur, owners would be searching for a suitable pet memorial stone. 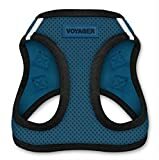 This comfortable dog vest harness is designed and developed to provide your dog with the safety it needs so that you can go on drives and road trips without a care in the world. The weight of the dog distributes evenly, which could save its life if the driver hits the breaks a little too hard. 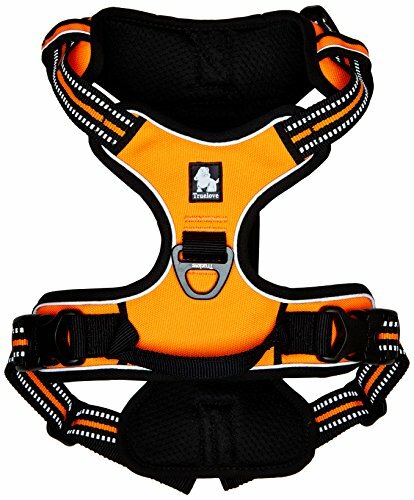 It is a durable dog vest harness with a broad chest plate for additional comfort and security. The dog safety vest is used for regular walks and everyday adventures. When looking for quality items, it can often take some time and effort to find the right one. However, when you eventually walk down the sidewalk with your once frantic puller of a dog strolling calmly by your side – it will all be worth it. A no-pull harness for your dog is not just a temporary solution, but it can help your dog learn to walk in an appropriate manner without dog pulling. Modern research has shown that using a harness for your dog instead of a collar can save your dog from neck injuries and discomfort. Small dogs are not physically equipped to handle the pressure from a collar, and one yank could end up damaging their neck or possibly crush their windpipe. As for large dogs, while they can usually handle more, a pull prone dog is likely to become stronger the more it pulls, as their neck muscles have a tendency to grow. 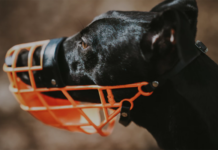 Some dog owners believe that a collar, due to the discomfort it provides, is the best tool to help fight dog pulling, but some studies claim it is the exact opposite. Instead of pulling less, the dog’s neck gets stronger and more resistant, resulting in a harder pull (while also risking injuries, since they might not realize themselves how much force is put on their neck). With the right harness for your dog, this can all be avoided, while also making the experience more pleasant both for the dog mom or dad, as well as for the dog. When going through no-pull dog harness reviews, it can be difficult to know what to look for. Keep an eye out for the features that would best fit your dog. Is your dog the kind that dives into every mud puddle there is? Then pick a harness that can be washed in the washing machine. Is he a runner? Choose one with a pocket or space for an ID tag or a home address. Does your dog lunge at other dogs? Find a harness with a handle on top for better control. 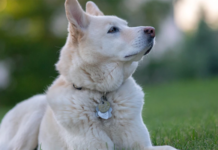 The options are many, but the dog industry has realized what loving dog owners have known all along – that every dog is different, and there are now quality options to accommodate every pet and person’s individual needs. This depends entirely on the make and model of the harness. Some go over their head and clip together on the side with a strap that secures around the dog’s waist or the dog’s chest. 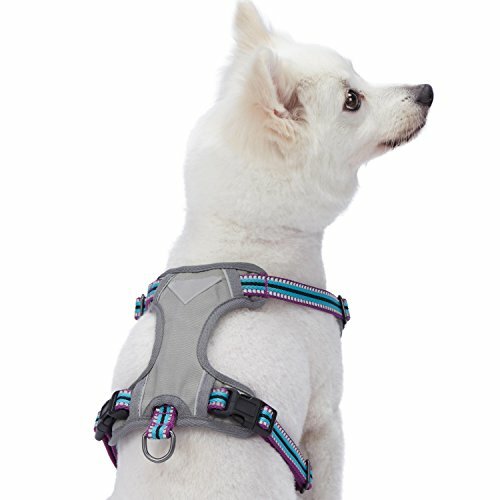 Other harnesses open and close with multiple clips, and some harnesses the dog will have to step into before it secures with one or multiple clips on their back area. This is, as the name indicates, a harness that prevents the dog from pulling or at least reduces pulling. The effect is often achieved by evenly distributing pressure around the dog’s body, which avoids that triggering effect a dog collar can have. No-pull harnesses also tend to come with two separate rings or clips for the dog leash, where one sits on the back and the other in the front (on the dog’s chest). 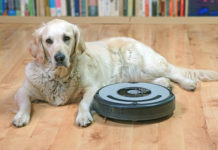 The front attachment clip pulls the dog sideways if he tries to pull away from you, which causes him to slow down and eventually – if used properly – teaches him that pulling gets him nowhere. This is very individual and depends on what you as a dog owner prefer for your dog. One top-rated option is the RABBITGO No Pull (see review above), which is currently recommended by hundreds of happy customers. Having your dog in the right harness can make or break the walking experience. Get out there and have fun with your dog and do it in a way that is both healthy and safe, by choosing a comfortable quality dog harness suitable for your fur baby. Read reviews and investigate, but most of all – have fun with it! The world is out there to be explored by you and your adventure loving dog. Always measure your dog before buying a harness, to make sure you get one that fits him or her properly. Otherwise, you take the risk of having your dog slip out of the harness and runoff, which isn’t something any dog owner will ever want to experience. Nobody enjoys being walked by their neck (just imagine!) and investing in a harness rather than a collar makes it safer when you walk your dog, and a lot more enjoyable for your tail-wagging family member.